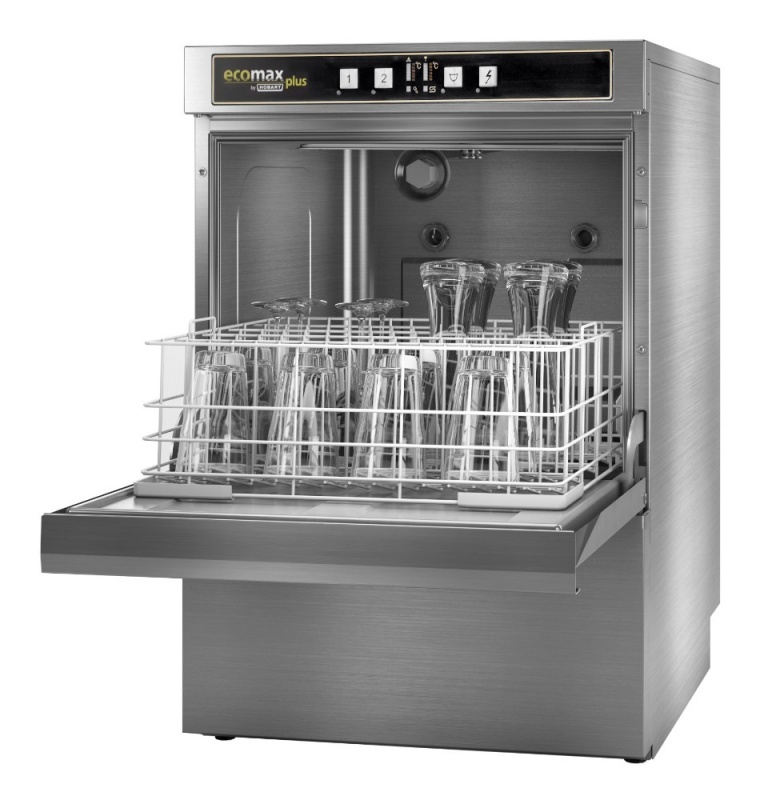 The Hobart Ecomax G403S glass washer with integrated Water Softener is compact and with its double skinned door that allows for quieter operation is an ideal solution for front of house use. With Internal rinse aid dosing and detergent pump using cold water supply, the Ecomax G403S wash cycle of either 90 to 180 seconds will wash 40 racks per hour. The Ecomax G403S is delivered within 5 working days dependant on whether choose delivery only or choose to use our qualified installation service. If you choose to have this dishwasher installed by Dishwashers Direct, we will provide you with 1 year FREE Parts & Labour Warranty. If you choose delivery only, we offer parts only warranty. You can choose to upgrade and extend your warranty upto 3 years including parts and labour.